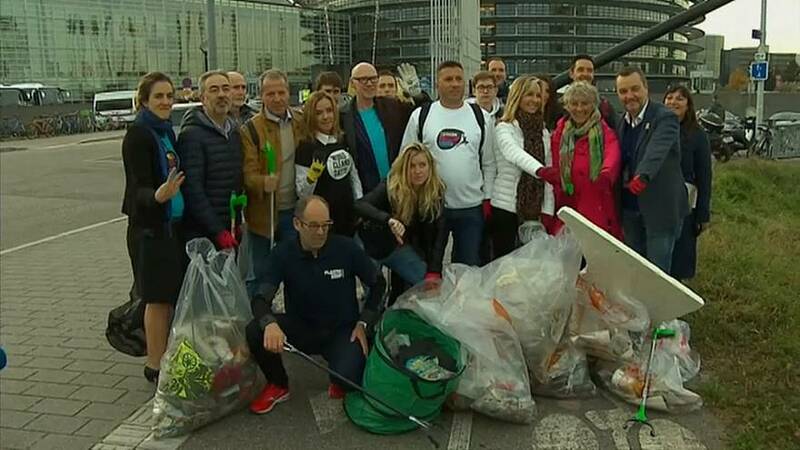 A group of MEPs joined a World Cleanup Day event on Tuesday, picking up waste outside the European Parliament (EP) in Strasbourg. Belgian MEPs Frederique Ries and Marc Tarabella took part alongside Danish MEP Margrete Auken, French MEP Angelique Delahaye, German MEP Reinhard Butikofer and Italian MEP Marco Affronte . A small number of demonstrators gathered outside the EP building to protest against plastic pollution.